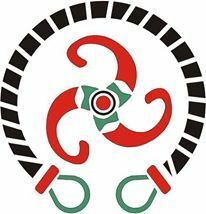 This page will list publications in, for and about the modern Gaulish language, as they become available. 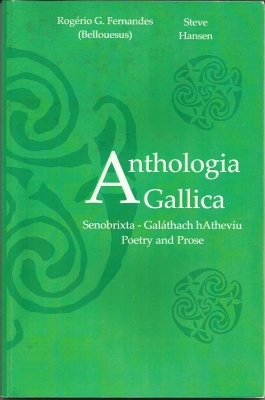 To date two volumes are publishedwhich feature Galáthach. The first one, Anthologia Gallica, published in 2015, gathers together in one volume two versions of the Gaulish language, one ancient and one modern, used by two different authors. They join forces in translations of a wide variety of material, ranging from poetry to historical texts. 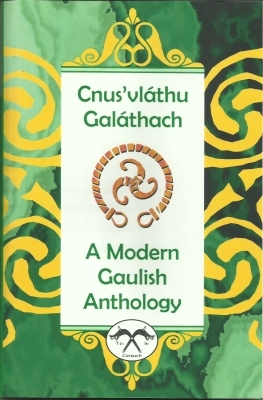 The second volume, Cnus'vláthu Galáthach, contains mostly original compositions in Galáthach only by nine different authors and author partnerships. Published in early 2017, it contains original poetry, songs, and stories in the modern language, alongside of a number of translations of modern and ancient material. Both volumes are published by Amazon and are available at the sites the urls of which can be found in the left hand side section of this site, under # 5.